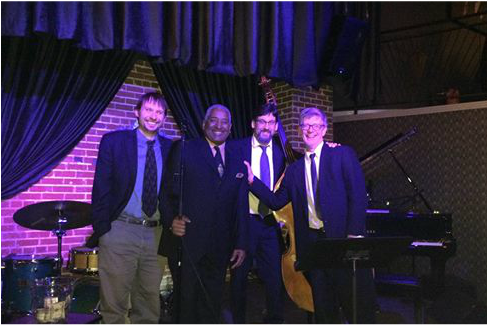 This band was initially created for a residency at the jazz club Nocturne, in Denver, CO. The performances were so successful, enjoyed by both the audience and band members alike, that the band decided to continue performing together. Scott Martin on piano, Dru Heller on drums, and Mark Diamond on bass, form the foundation for the amazing vocals of Robert Johnson, who was a member of Stevie Wonder's band for five years. Robert's voice soars, croons, scats, melts you into your seat, and at times makes you get up and dance! This group plays wonderfully arranged jazz standards as well as a variety of other genres from Brazilian Bossa Novas to some down home Blues. Don't be surprised when you hear The Stylistics and Stevie Wonder, too!